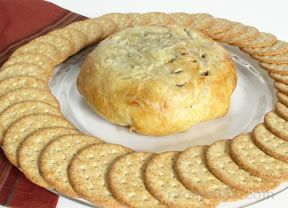 Superb is one word that comes to mind when you taste this unique appetizer loaded with irresistible flavors and textures. Cook the brown sugar and butter in a saucepan over medium heat, stir until thick. Add the cinnamon, nutmeg and the amaretto or brandy. 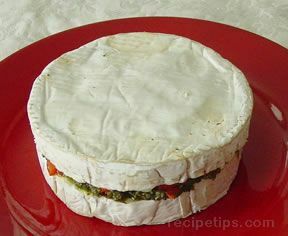 Place the brie, with the top 1/8 inch sliced off, in a brie baker or small baking dish. 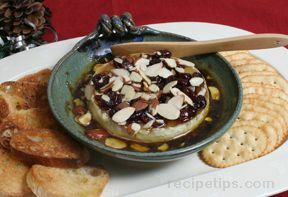 Pour sauce over the brie and sprinkle with almonds and cherries. 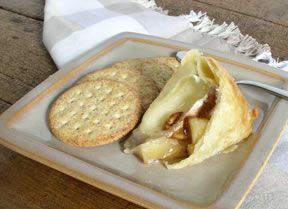 Bake at 350Â° F. for 10-15 minutes, or microwave at 30 second intervals until the cheese becomes soft.